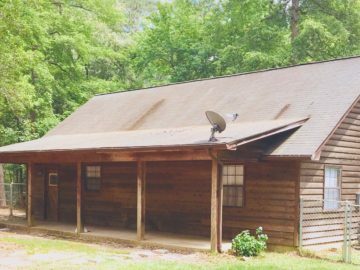 Tiger Creek Lodge – The perfect getaway. 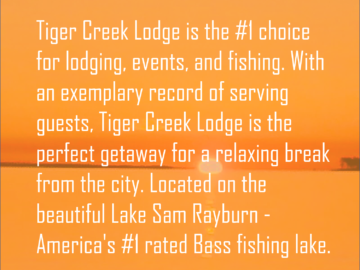 Book an unforgettable trip to Lake Sam Rayburn today - America's #1 ranked lake for Bass fishing. Weddings, Family Reunions, Fishing Tournaments and more. Call today to inquiry about the perfect event. Want to plan a team building expereince? 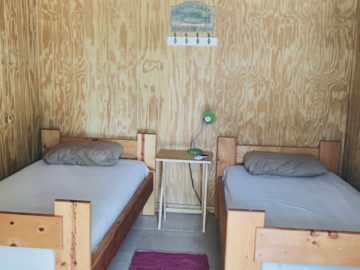 Call us today to book the perfect retreat. Get the most out of your visit by booking a guided fishing adventure. Experience a scenic 18 hole course with a breathtaking view of East Texas.